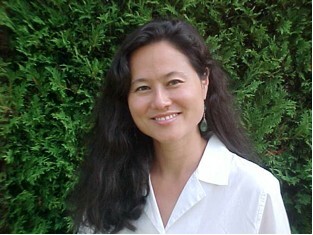 Dr. Karen Miller-Lane is a Naturopathic Physician and Licensed Acupuncturist. She has a practice in Middlebury, VT. Her expertise lies in providing an integrative, compassionate and individualized approach to women’s health, endocrine, gut and immune support, and to the challenges of chronic disease. She received a Doctorate of Naturopathic Medicine (2001) and a Masters of Acupuncture (2002) from Bastyr University. She received certification in Craniosacral therapies in 2000. In addition, she spent four years (2008-2010, 2012-2014) studying advanced Chinese medicine and pulse diagnosis with the acupuncturist and scholar Lonnie Jarrett. She also trained with Eileen McKusick, and was certified as a Biofield Tuning practitioner in 2016. These multi-cultural, multi-modal teachings provide a rich foundation for her practice of medicine. Prior to becoming a Naturopathic Physician, Dr. Karen worked in the field of international development and education with a focus on women’s healthcare issues. Currently, she is particularly interested in the developing field of epigenetics and nutrigenomics, as she continues to embody a commitment to being an innovator in the ever emergent field of healthcare in the 21st century. She finds joy in her family, friends, the patients she works with and finding the humor and wonder in everyday situations. foundation of experience and a commitment to health, especially natural health, was built. As an undergraduate, I studied political science because I was interested in how governments respond (or don’t respond) to the needs of people. After obtaining a B.A. from the University of Massachusetts at Amherst I went to work in Washington, D.C. First, I worked for the Close Up Foundation (CUF), a nonprofit, nonpartisan civic education foundation dedicated to citizen involvement in government. After two years with CUF, I became a Program Specialist with the Academy for Educational Development (AED). At AED, I managed technical training programs in the areas of health and education for over six hundred Pakistanis who came to the United States for professional training through a grant from the U.S. Agency for International Development (USAID). I also managed a small staff of Program Specialists. At CUF and AED, I witnessed the extent to which education can empower people. Both jobs demanded intensive academic preparation, energy, and commitment to the students and participants with whom I worked. Little did I know then how well such intensity prepared me for the rigors of medical school! Throughout my six years in Washington, D.C., I volunteered for women’s health organizations. I worked at a shelter for battered women in Alexandria, Virginia. We were fortunate to have the support of local police; they preserved the anonymity of the women we served while tracking down the men who were abusive. This cooperation between service provider and the local community/government was essential. Later, I worked at the Washington Free Clinic. On a restricted budget, and depending on lay workers, the Clinic provides general health check-ups, AIDs testing and counseling, family planning, and pre-natal and maternal health care to those who cannot otherwise afford such important health care. I learned what a tremendous need exists for responsive, natural, preventative health care. My interest in health also lead me to attain certification as an Emergency Medical Technician (EMT) in the State of Virginia. The EMT program as well as my experience with emergency rooms and ambulance care, deepened my understanding that health care requires a commitment to helping people with serious illness, and, sometimes, with “healing into death”. It is also important to understand the full spectrum of health care options that are available and the need for integrating these options to achieve optimal patient care. In 1993, my husband and I had the opportunity to be instructors at the College of the Marshall Islands, in Micronesia, where we lived and taught for two years. I taught courses from Anthropology to World history. Yet, once again, my favorite challenge was developing curriculum for and teaching the course on Health. Working with students on health issues specific to the Marshall Islands was a challenge and a pleasure. The students did not find answers to all their questions, but they learned how they can play an active role in their health. I taught them how to access information to help guide them toward more healthy, natural choices. Students shared with me their knowledge of many of the plant remedies that their mothers, or the traditional women healers, used to treat broken bones, bruises, stomach illnesses and skin rashes. The exchange was enriching and my desire to be an integral part of medicine and education was sealed. When choosing the next step on my journey I knew that I wanted to work in the field of health. However, the dominant model for health care in our country raised many concerns for me. The dominant health care model in the United States depends on strong pharmaceuticals with many side-effects. Doctors have little time for listening and hearing patient concerns. A compartmentalized approach to disease combined with little understanding of the impact of nutrition and lifestyle changes on health often seemed to ignore the patient as whole person. Becoming a doctor in such a system seemed too large an investment of time and money without the joy and soul connection I had felt in my previous experiences with women’s health. I was on the way to getting a Masters in Public Health at Tulane University when I heard about Bastyr University and Naturopathic medicine. A whole new world opened up for me and made sense. The time and significant financial commitment necessary to become a Naturopathic physician suddenly was worth the sacrifice. With the support of my always amazing spouse we came to Seattle and the rest, as they say, is history. The road to successfully pursuing and completing a Doctorate Degree in Naturopathic Medicine (2001) and a Masters Degree in Acupuncture(2002) was academically, mentally, and emotionally challenging. As I learned to help others seek optimal health, ironically, my own health declined. As I pushed myself toward some elusive goal of excellence – knowing all – I sometimes lost sight of all that I knew. We all have the capability of accomplishing what, at times, can seem like monumental tasks. But, it is who we are and who we become in those moments that are the true lessons. At the heart of my experience with myself and with my patients at the Bastyr Clinic, I came to understand knowledgeable, compassionate and balanced healing. Through the lessons and wisdom of naturopathic medicine I have been able to learn to walk my talk. I also have great empathy for the journey and process that illness provides us. It is an opportunity to connect with ourselves – to pay attention – to reinvest in ourselves. My understanding of the power of naturopathic medicine continued to be strengthened and refined during my two year residency program at a busy family practice in Seattle, Washington, developing a private practice in a multi-disciplinary health clinic in Seattle, and moving to Vermont and establishing Natural Medicine of Vermont. I have worked and continue to work with exceptional physicians (ND’s, MD’s, DO’s, DC’s, etc.) and health care practitioners. I have seen what compassionate and respectful health care integration can accomplish on the behalf of my patients. The lessons are for a lifetime. Throughout this journey of becoming a physician, my best teachers have been and continue to be my patients. –It is with grace that I have the opportunity to work with amazing people on a daily basis. Dr. Karen Miller-Lane, ND, Lac.